Osaka the second largest city in Japan. Come fill your days and nights with many wonderful and exciting attractions for everyone. Visit the Shitennoji Temple, Osaka Castle and at night enjoy the heart of the night life in Dotonbori. 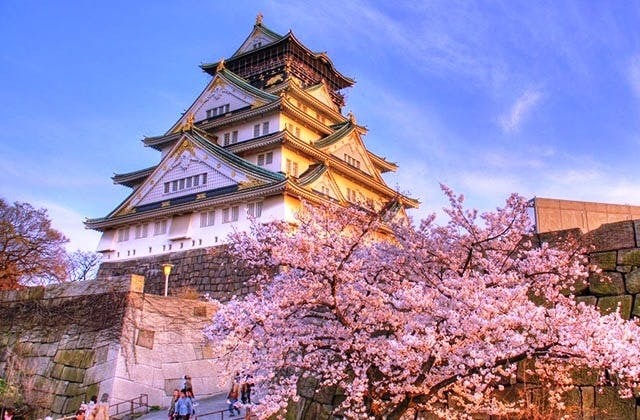 History lies deep in Osaka but has become a fascinating and popular modern city ranking high in the economy of the Japanese. Catch the train at the Shin-Imamiya Station or the Osaka subway Midosuji and Sakaisuji to your destinations of your choice. Visitors have the opportunity to mingle in the hub of the city, enjoying fine dining and shopping to enjoying nature and hikes in the mountains. KIX is the IATA code for Osaka - Kansai International. Ulsan in South Korea is the closest overseas airport to Osaka - Kansai International. The nearest train station to Osaka - Kansai International airport is Kansai Airport Station which is within a kilometre away.